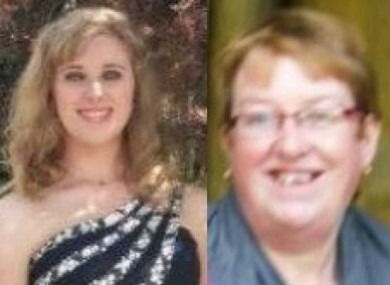 Louise Clancy and her mother Geraldine died in the 2015 crash. A CORK MAN whose wife and daughter were killed in a road crash involving an unaccompanied learner driver has said he campaigned for a change to the law so that “no one else would stand in [his] shoes”. Speaking to Patricia Messenger on C103′s Cork Today Show, Noel Clancy said that car holders need to be held responsible for their vehicle and that it was unacceptable that members of his family had died. Earlier this week, Minister for Transport Shane Ross sought approval for an amendment to the Road Traffic Bill, dubbed the ‘Clancy amendment’. This amendment would see car owners who allow unaccompanied learner drivers to use their vehicles face prosecution. Clancy’s wife, Geraldine Clancy (58) and his daughter, Louise (22), and were tragically killed in an incident involving an unaccompanied learner driver in December 2015. Noel Clancy came upon the scene of the crash near their home in Kilworth initially not knowing his wife and daughter were inside the stricken vehicle. Speaking about being in court on the day of Gleeson’s sentencing, Clancy said he decided he wanted to do something about the current laws. “The gardaí gave me a choice that day,” he said. “To go out the back door where there was a car waiting, or we could go out the front door and face the national media. I knew I would harness that media attention to try to change the law. [To] make sure no other family would go through what we had to go through. On that day, Clancy made a direct appeal to the Minister for Transport to implement laws so that allowing a learner to drive your car unaccompanied would be an offence, as happened in this case. He said that school students should be taught about the dangers of going out unaccompanied and made aware of the laws around this. Clancy said that his life has been completely changed since the death of his wife, and one of his daughter. “[It changes] in any way you can imagine, and in ways you can’t imagine at all,” he said. He’s since rolled back on his farming work and stopped going to church. He said: “I won’t say that I was overly religious, but I went to mass every Sunday. At this stage I would say I have lost my religion. I can’t bring myself to go to mass. Everything has changed. In the house, on the land. Every facet of my life. You couldn’t describe it. To lose a child goes against nature. To lose your life partner at the same time it’s indescribable. I can’t put it into words. Clancy added that the new proposed law will save lives, and explained the reason why he has campaigned since the death of his family members for it. Email “'This will save lives': Grieving father and husband who campaigned to change learner driver laws”. Feedback on “'This will save lives': Grieving father and husband who campaigned to change learner driver laws”.